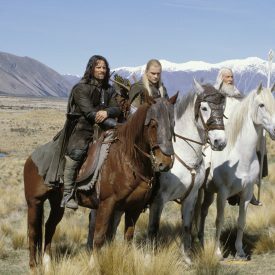 See also Shadowfax and Brego, who were horses of Rohan but special enough to have their own pages. 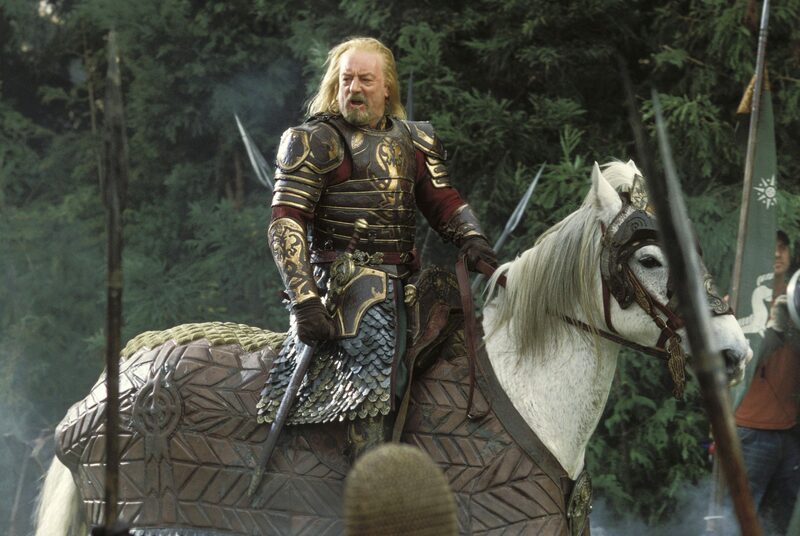 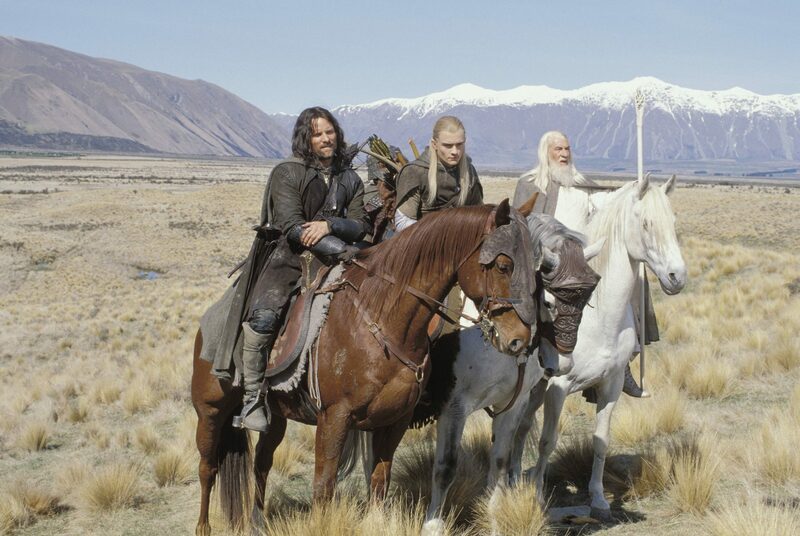 Hasufel is the horse that Éomer gave to Aragorn near the beginning of The Two Towers. 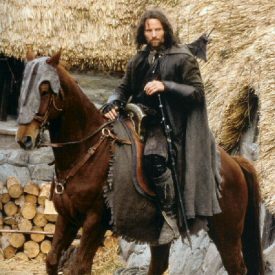 “Hasufel” is old English for “gray-coat,” and in the book, Hasufel was a dark gray stallion, but in the films he was played by Kenny, a chestnut. 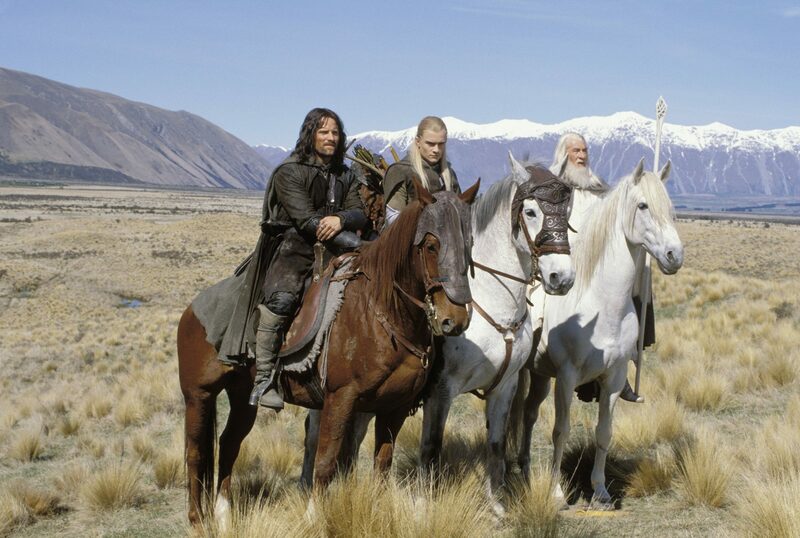 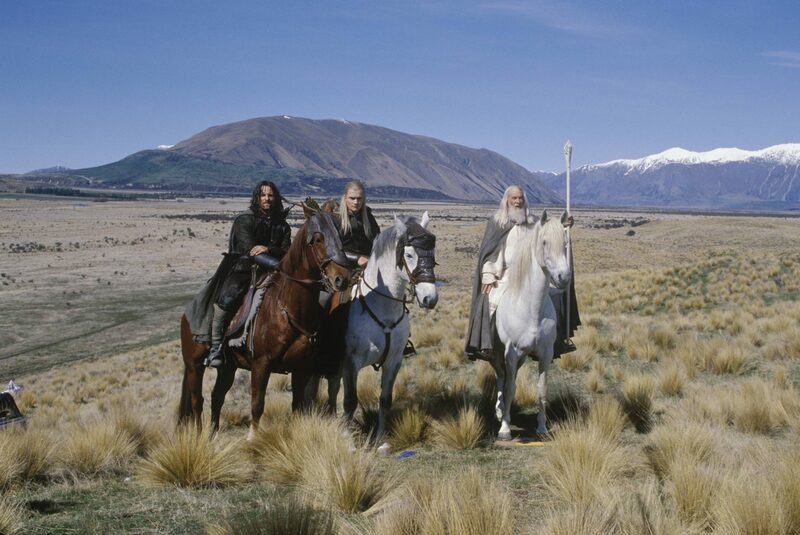 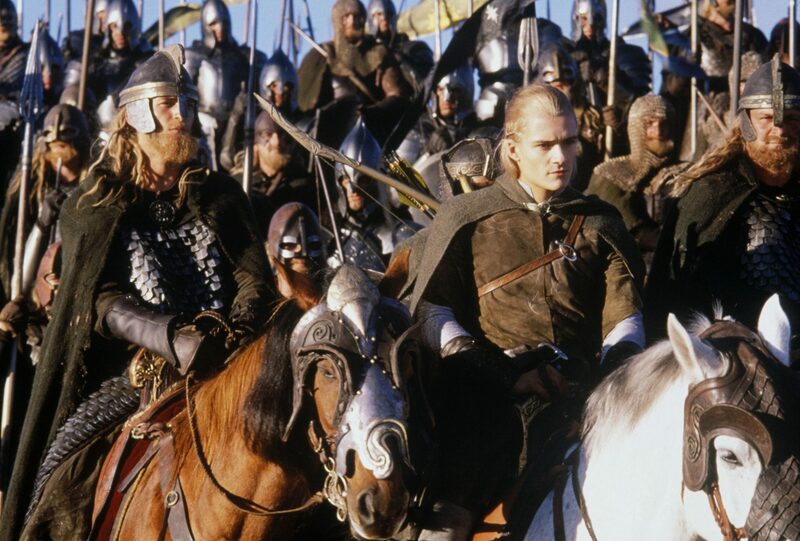 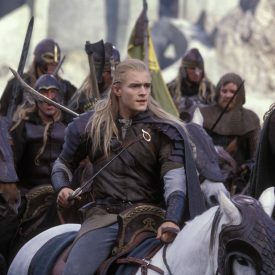 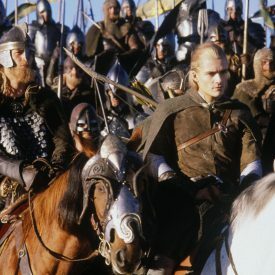 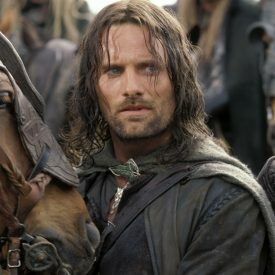 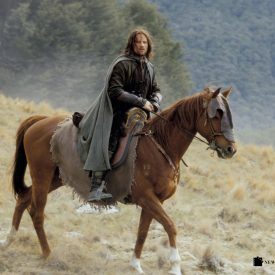 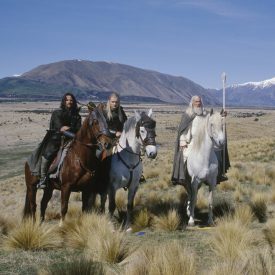 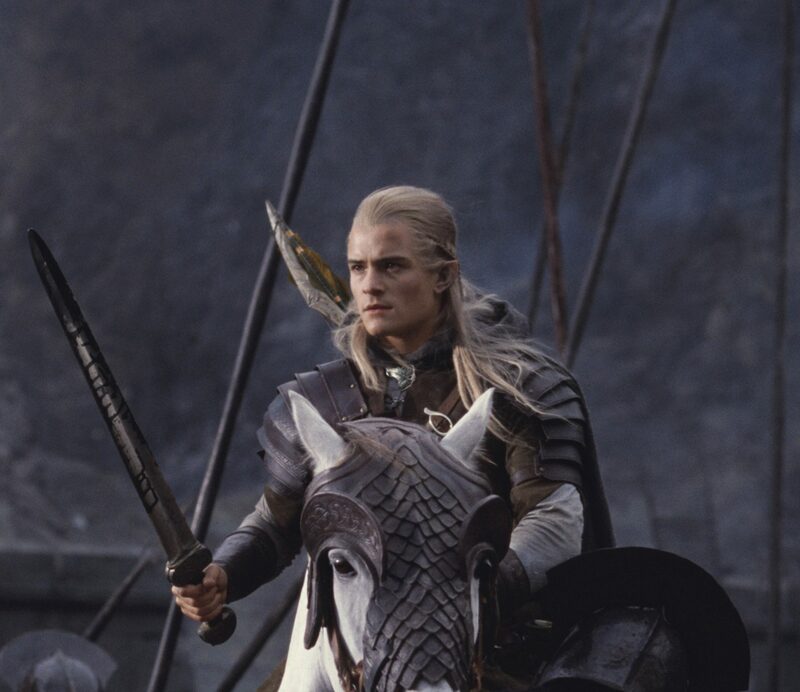 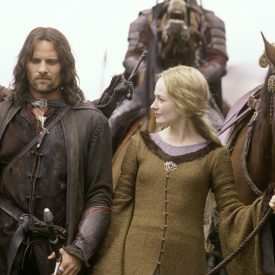 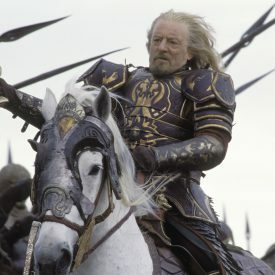 In the book, Aragorn continued to ride Hasufel well into The Return of the King. 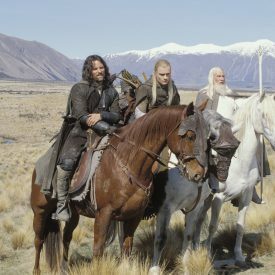 Hasufel even stayed with Aragorn as he traveled the paths of the dead. 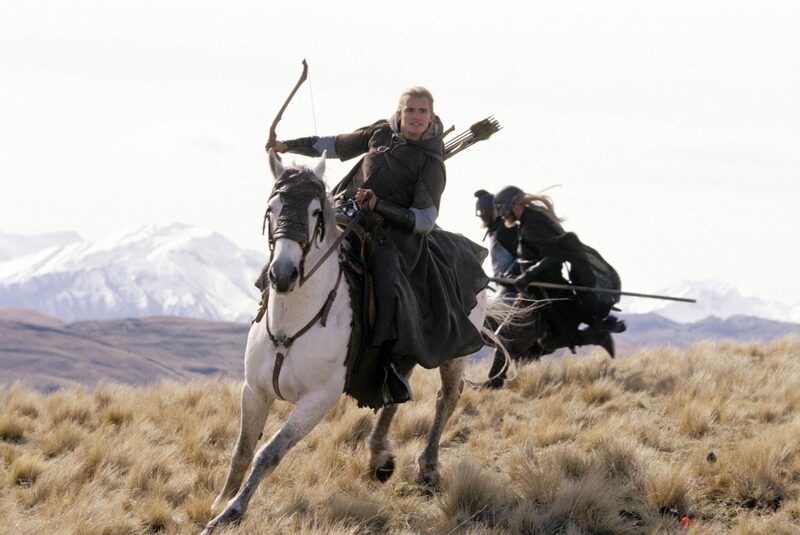 In the films, Hasufel was killed in The Two Towers during the warg attack that occurred on the way to Helm’s Deep. 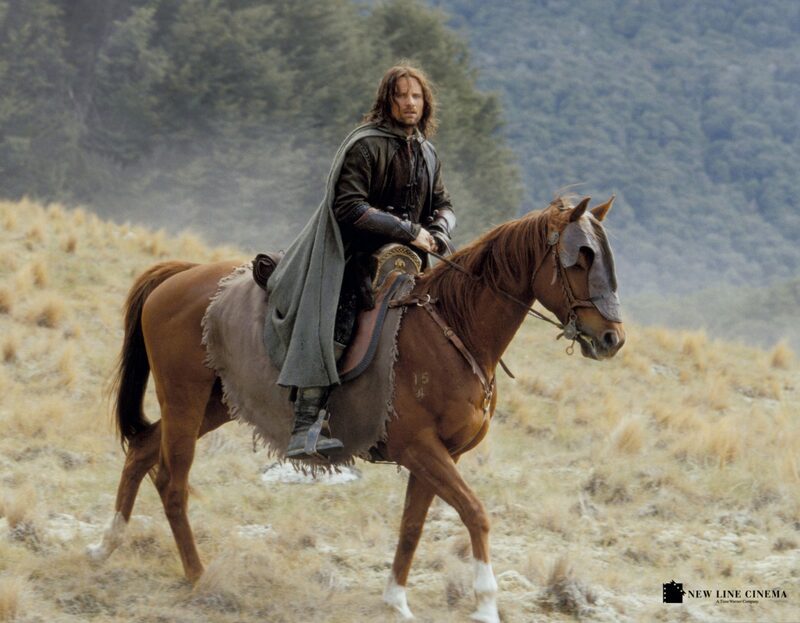 Brego rescued the injured Aragorn and took Hasufel’s place as Aragorn’s mount. 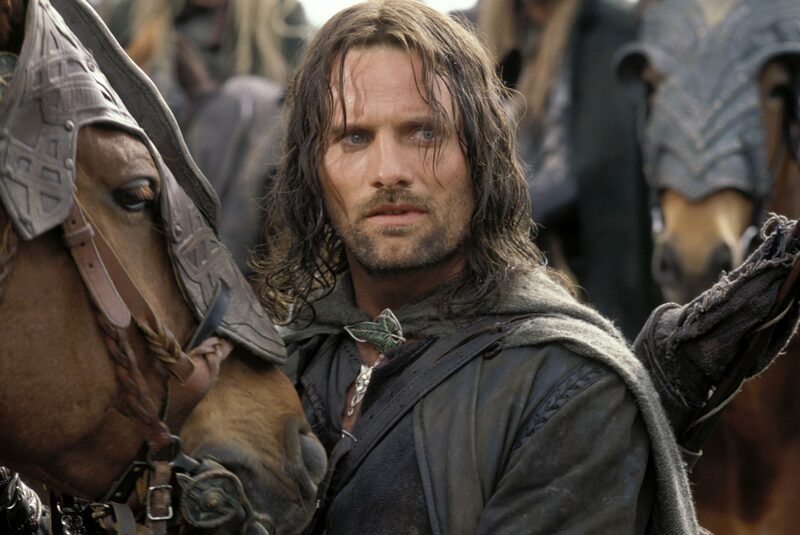 Viggo Mortensen became fond of Kenny and purchased him after the filming had concluded. 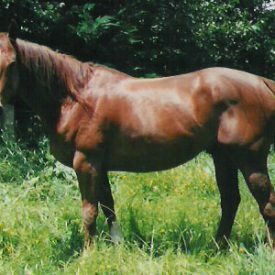 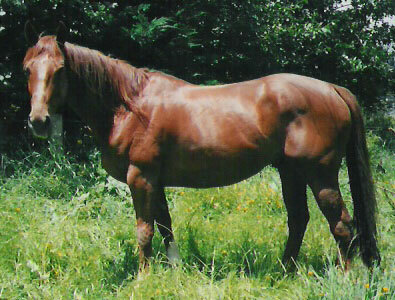 Kenny went to live with Uraeus (aka Brego) at Jane Abbott’s farm, and enjoyed a leisurely life. 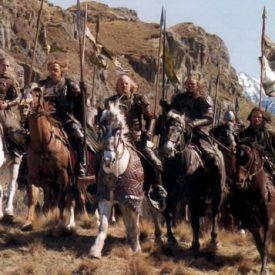 The gray Windfola carried Éowyn (disguised as a man) and Merry from Dunharrow to the Pelennor Fields in The Return of the King. 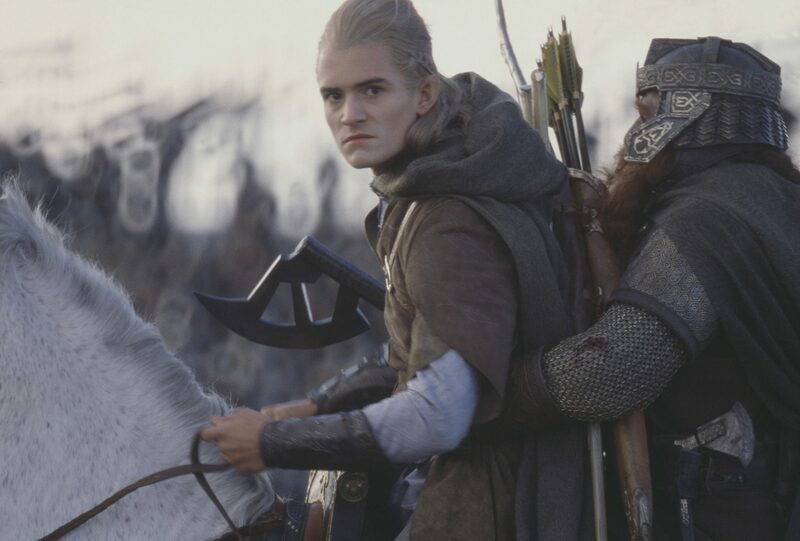 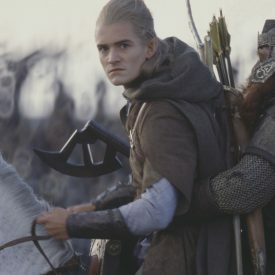 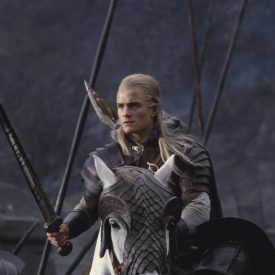 In the book, he distinguished himself well until faced with the Witch-king of Angmar, at which point he panicked and threw Éowyn and Merry, leaving them to fight on foot. 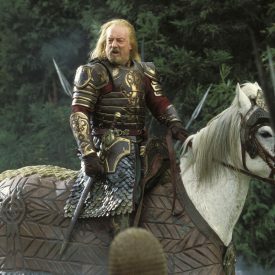 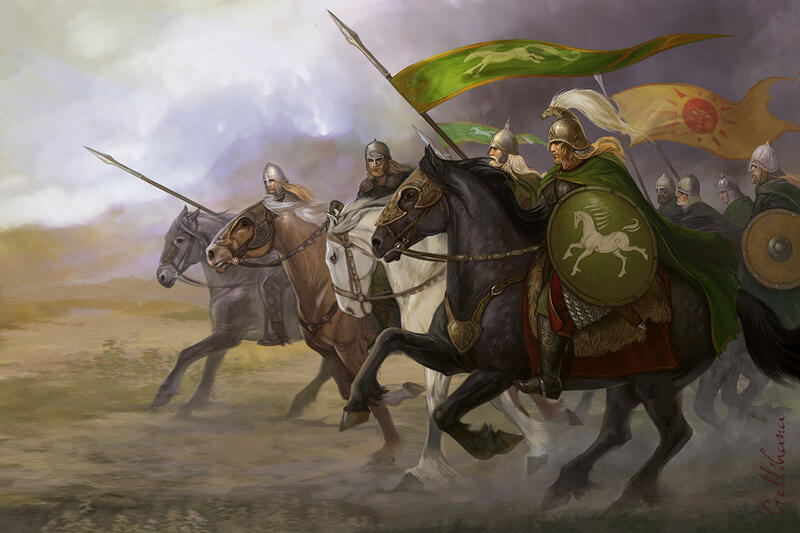 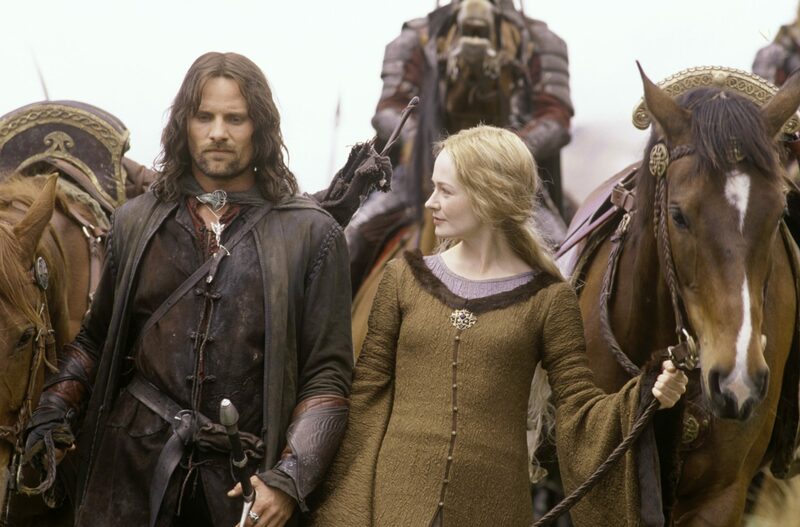 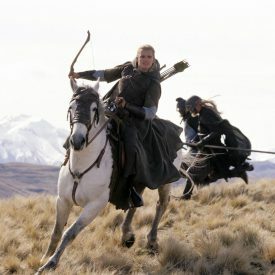 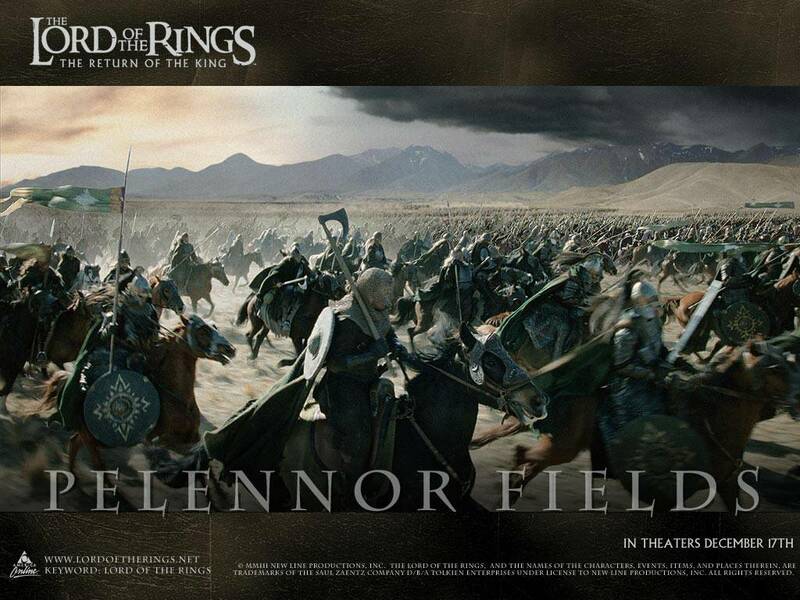 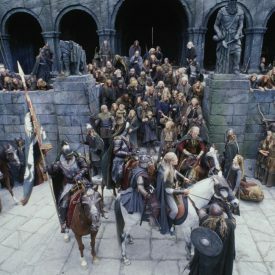 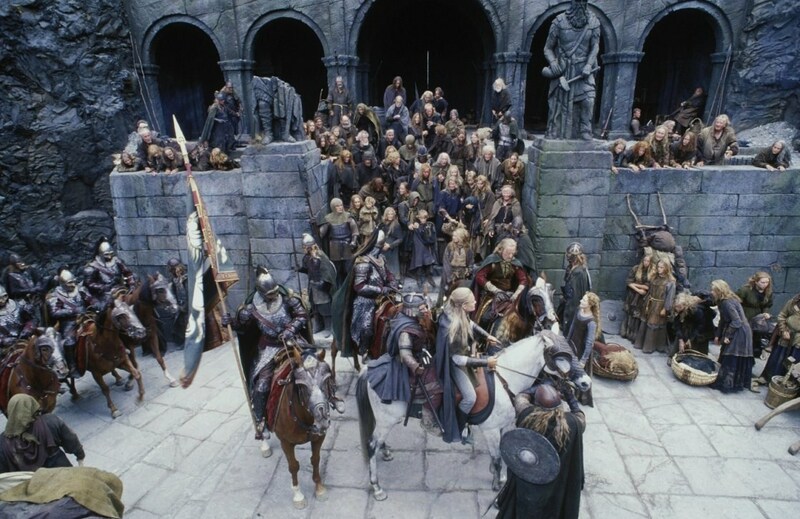 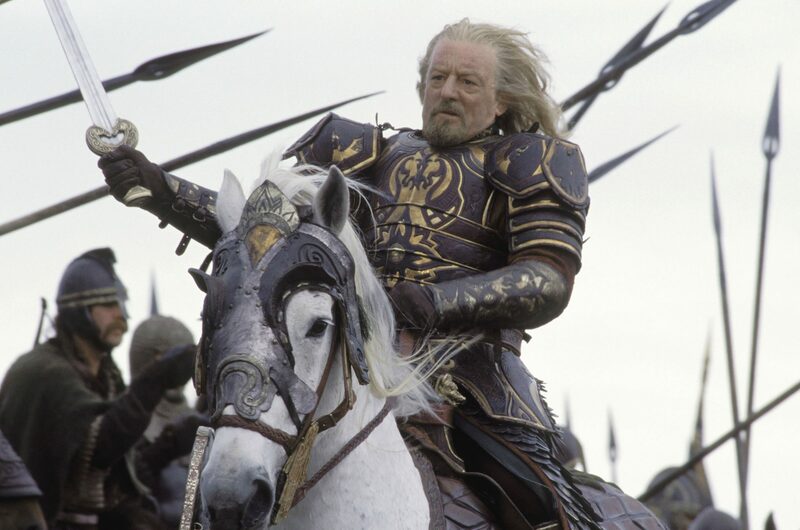 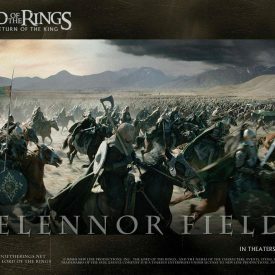 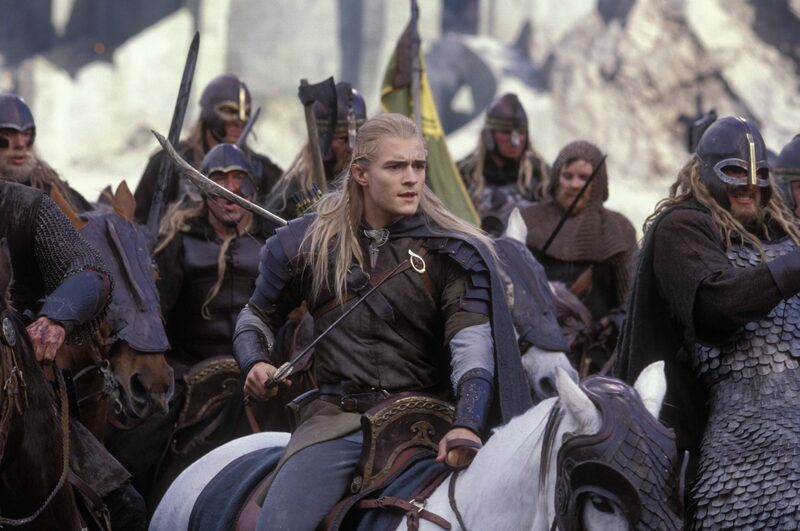 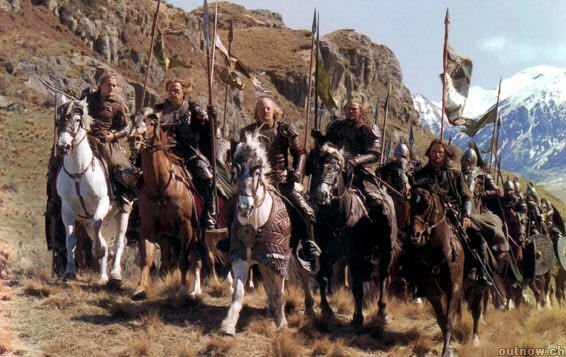 In the film, Éowyn was mounted on a brown horse that was downed by one of the Oliphaunts. 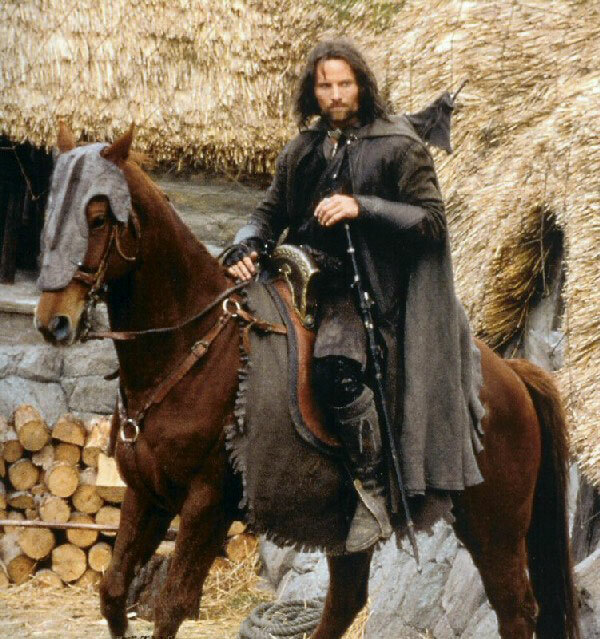 That horse was played by Dublin.